Ever wonder what makes wool so special compared to other fibers? 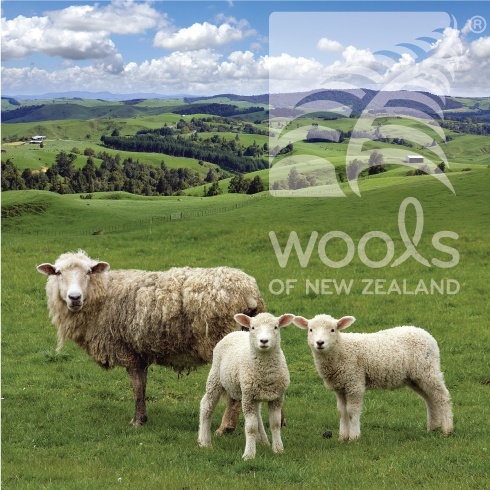 Know why Nourison chooses to use New Zealand Wool in 95% of our products? It’s because New Zealand farmers follow strict animal welfare practices and run one of the world’s greenest animal production systems. New Zealand wool is so versatile that it is the most sought-after carpet and rug fiber. New Zealand wool has excellent appearance and retention. As part of wool’s complex fiber structure, it has a minutely rough surface, created by overlapping scales that hold dirt and soil high on the pile for easy release when vacuuming. New Zealand wool has a longer wear. So don’t worry about replacing a wool carpet or rug very often. 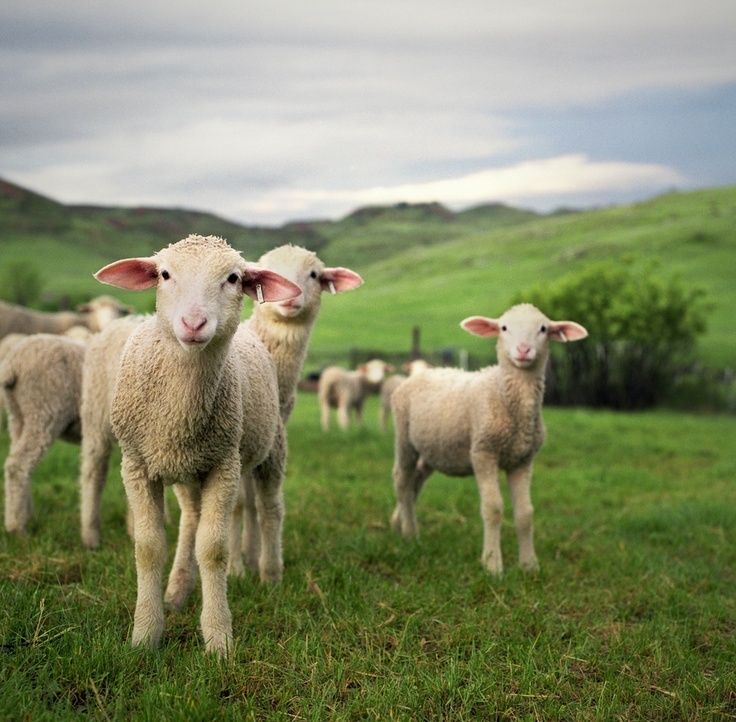 The strength, durability and longevity of New Zealand wool have been proven in countless installations over many years. Longer wear life is also more beneficial for the environment. The unique three-dimensional spiraling crimp gives wool carpet excellence resilience with its built-in ability to spring back after heavy foot-traffic and when furniture is moved. Crimp has to be artificially added to synthetic fibers through steam and pressure, which requires extra energy. Only wool has the natural ability to “stand up” again after flattening, retaining its plush feeling and great appearance. The last, but certainly not least, New Zealand wool provides excellent comfort. Wool’s ability to retina and release moisture during periods of high and low atmospheric humidity makes the indoor environment more comfortable. Wool’s natural bulk and resilience give wool superior sound and heat insulating properties as well as walking comfort. Wool fibers can hold up to 30% of its weight in moisture and still feel dry. They naturally absorb and release moisture from the air in response to changes in temperature and humidity. Want to become a wool specialist yourself? Visit Wools of New Zealand’s Wool College site today to earn your pin! For more information on Wools of New Zealand. If you’re looking for that last finishing touch to a room, no need to go bold when you can add a touch of shimmer. 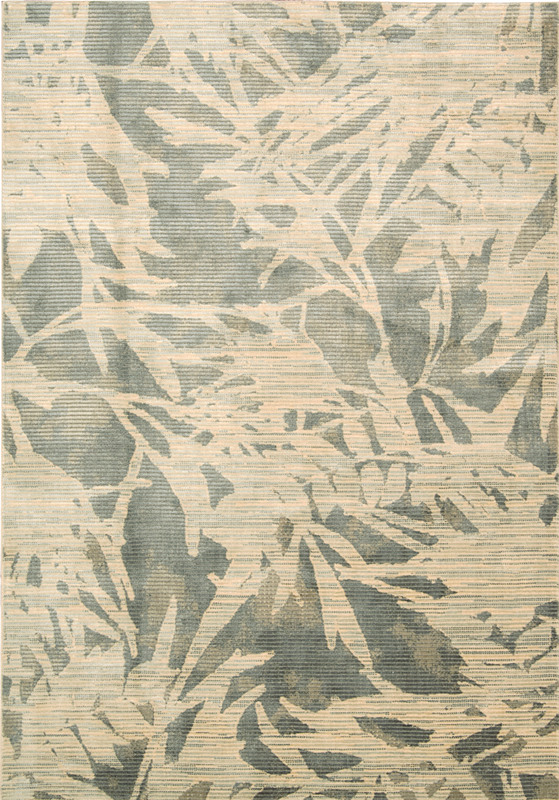 Nourison recently introduced three stunning collections with luscious texture, vibrant patterns and a silken finish. Introducing Luminance, Starlight and Calvin Klein Home Maya collections. Taking inspiration from the intricate geometrics of antiquity, the Luminance collection will complement a variety of décors, both traditional and contemporary. You can bring out a modern flare with two repeating circle designs in crimson and silver, or go for a more time-honored design reinvented with a unique palette and transitional hues. 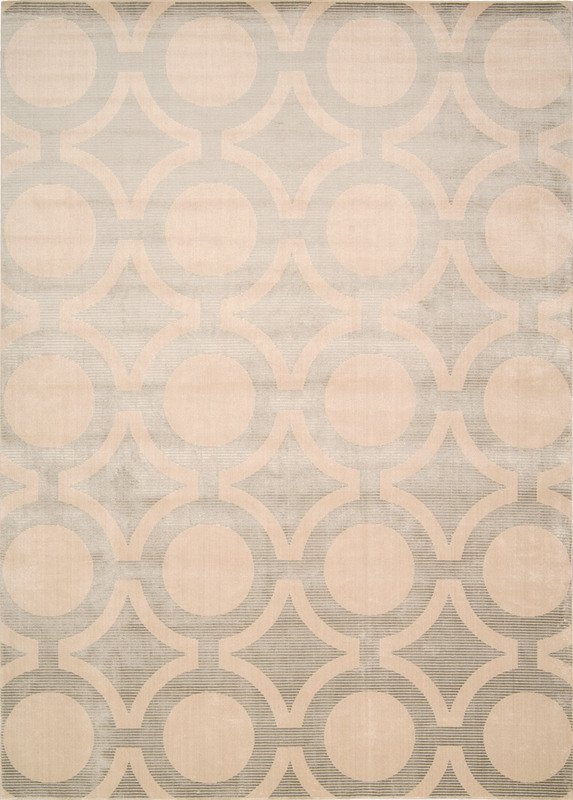 Each rug of the Starlight collection is designed to add an air of easy elegance to any contemporary-chic environment. Shimmering with a sheen of opalesque, oyster, pewter and peach, the plush pile and glistening shades will provide a fabulous way to freshen up any look. The Maya Collection evokes cool neutral colors of mountain stone and the intricate and textural patterns of these stunning artworks are reminiscent of ancient Mayan artifacts. The custom-blend of pure New Zealand wool and high-performance Luxelle fibers woven on power looms has a rich silken finish that is beautifully reflective in light. The blustery cold days didn’t stop the fashionable interior designers at the BDNY Trade Show at the Jacob Javits Center. Plenty of intricate designs were showcased, but what was really turning heads was our Hospitality division’s new collection, Indigeny. 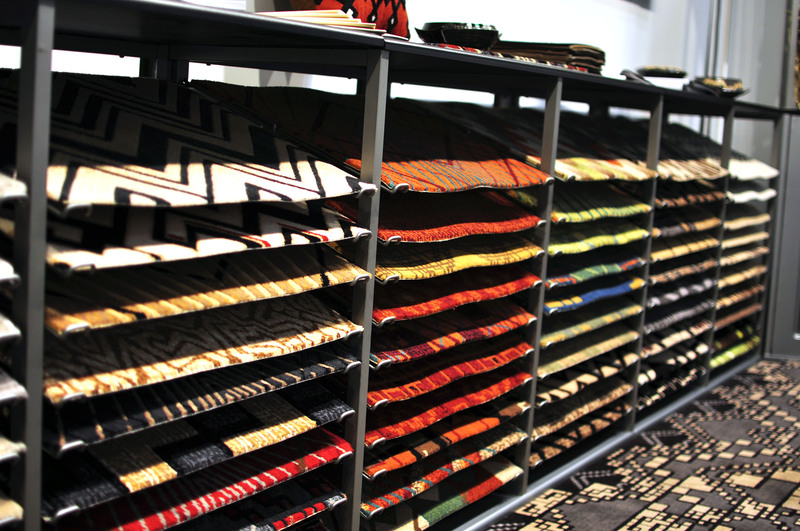 Customers were drawn to the variety of geometric patterns across the color-coded palette display. An added touch to the booth was designer Elizabeth Bonner’s pottery inspired by the Indigeny collection. A mixture of bowls and vases in warm earth tones added charm to the Southwestern influenced designs. An added flare to the booth was Mina Peykar’s Mina Victory Home Accent pillows. People swarmed the booth eager to feel the texture and see the shine on the leather, metallic pillows. A new creative energy is brewing in the Hospitality division, and we can’t see what we come up with next. Nourison’s Hospitality division is excited to be a part of the Boutique Design New York Trade Show November 10 – 11th at the Jacob Javits Center, where a new, vivid and exciting collection will be introduced. We sat down with Design Director, Elliot Steel, to learn more about the designs. What was the inspiration behind this new collection? ES: Inspiration behind the new collection was a spark from a couple of designs that Elizabeth Bonner has developed as Public Space designs based on a couple of ideas from our Chinese Studio. I made the connection between the styling and the fashion trends for prints derived from South West and Native American imagery. 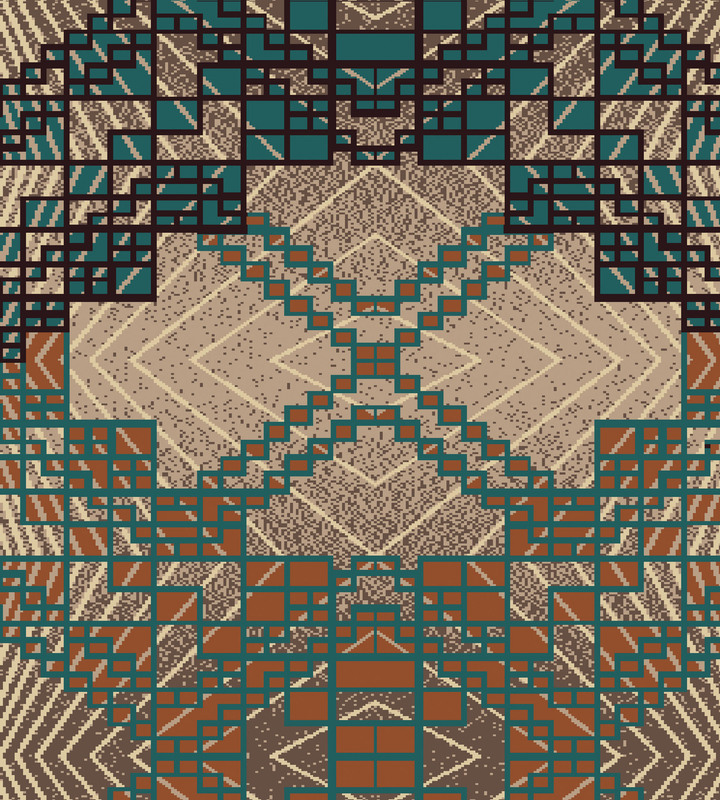 I decided to make the Indigeny collection less literal, but following traditional effects found in ceramics and textiles. I researched color and styling relating back to the fashion movement. My interest grew when I saw the next season (Fall/Winter 2013/14) still carrying forward the look. I am a great believer that fashion color and styling filters down through interior styling. What kind of businesses do you see these designs being used in? More contemporary, up-and-coming hotels perhaps? ES: The Indigeny Collection is firmly aimed toward the architectural and design community who are looking for new, fresh ideas for hospitality public space. As the collection consists of 50 designs in a fashion-forward color palette, there is a strong level of both coordination and varying scales of design making the collection suitable for an entire hospitality scheme. It is most definitely aimed toward the more discerning Designer who wants to make their mark on a scheme that is fashion oriented. You must have an incredible design team. Do all of your designers come from different backgrounds in the industry? ES: We have a small, but dedicated team of designers with great experience from Hospitality, Residential, graphic design and freelance backgrounds. Above all great drafting ability and a good sense of color is important. Technical ability is equally important as the Nourison design team are working on complex areas, often very large scale designs that must fit or are designed to fit within a pre-determined space. Understanding of math and complex repeats as well as a knowledge of CAD Plans are also important. How does the Hospitality division define collaboration? ES: For now we have not examined collaboration with an outside designer as I want our first collections to be able to showcase our in house design ability and to show the markets we are designing for that Nourison is a force to be reckoned with as a design studio. That is not to say we would not consider collaborating with a well-known Designer or Artist in the future. What are you most excited about with the release of this new collection at the BDNY Trade Show? ES: I am most excited about the anticipation of seeing the finished booth and being able to stage the launch of a new collection, my first with Nourison Hospitality. It is all about attention to detail, but also knowing where to stop to be able to conclude and meet the deadline. As a designer, that is sometimes difficult as you are always striving for improvement. I am also anticipating the follow up with Sales and customers following the show and starting to see project evolve using Indigeny. 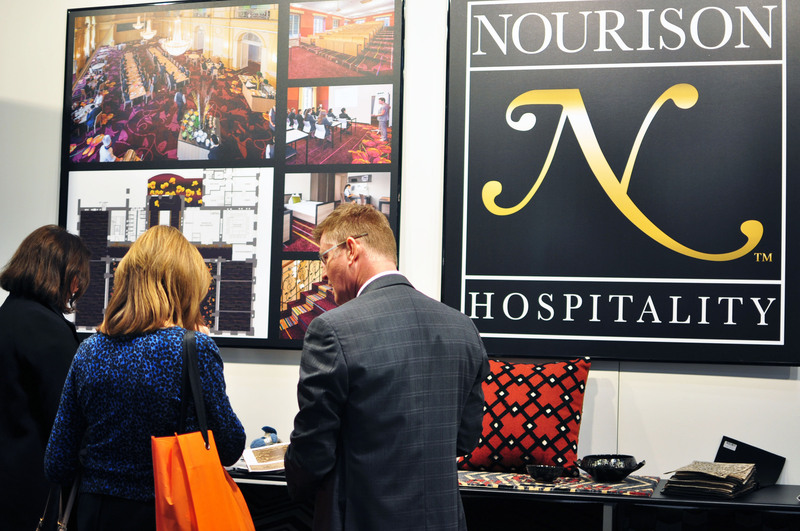 To learn more about Nourison Hospitality, click here. Nourison is pleased to announce it’s latest membership with the Sustainable Furniture Council, a nonprofit balanced coalition of industry players to promote sustainable practices among manufacturers, retailers, and consumers alike. We look forward to raising awareness on certain sustainability issues and assist on the educating of good practices. 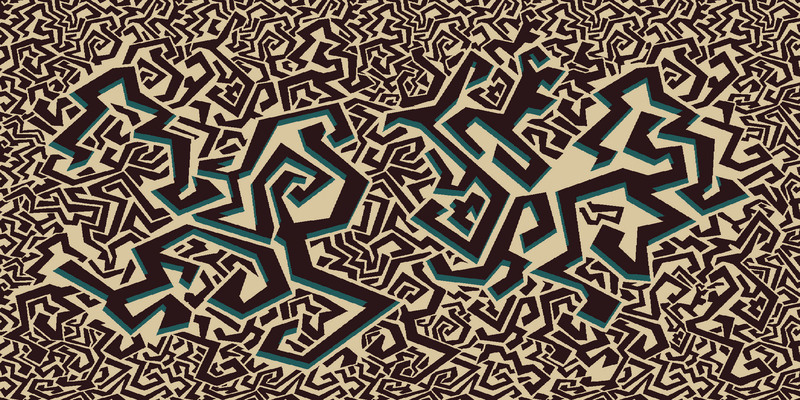 When the word rug or carpet comes in mind, what does it make you think of? For me, I go back to my grandma’s old house. She had this amazing white carpet that was soft to the touch and very plush. I loved to lay on it with my feet dangling in the air while I watched TV. Those memories in that little house come into my head now and then. As a digital marketer for Nourison, I’m thinking of my audience constantly and what an impact of a specific product or design we carry has that creates memories. I find myself walking around our showrooms running my fingers through different rugs. Why? Feeling and seeing our rugs gives me a sense of each customer and what design might fit a chic New Yorker, or a the adventurous sailor in Cape Cod. How each of these “finishing touches” is important to decorating: the icing on the cake to any room. We think as a company about sustainability not just for the environment, but how a product can reflect a personal style and last for many years to come. That’s why we choose wool. First and foremost, over 95% of our floor coverings (over 64 individual collections) are made from wool and wool blends. As a carpet fiber, wool is non-allergenic, produces low emissions, and actually has air-purifying properties. Wool is natural, biodegradable, and renewable resource that is produced using environmentally friendly, energy efficient and safe methods. The other factor we consider as a company is the positive impact of using wool, and how it helps us give back. Nourison’s wool processing provides sustenance for thousands of people in hundreds of villages throughout the world. Where sheep herding and cotton farming are a way of life, the animals are treated in these villages with care and respect. The natural materials are harvested and process with pride. Also, the best part about using wools from Wools from New Zealand is that they are universally acknowledged as the purest, whitest wools on the planet. 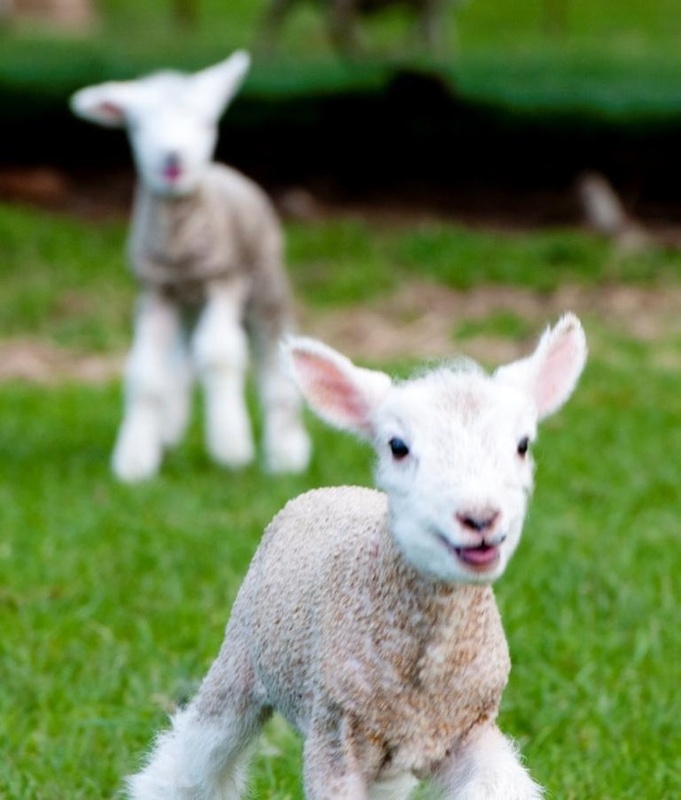 Makes me want to have a pet lamb of my own that sits by me at my desk…either that or take a trip to New Zealand. For us at Nourison, using wool has a double benefit. We care about the needs of our customers; what they need to make their home trendy, as well as provide a product that will never fail in quality. Likewise, using a natural fiber is a way of giving back to the environment. With a conscious eye on the sustainability of a collection, we continue to produce rugs that will never fail each of our customers. We’re going green whenever possible, how about you?